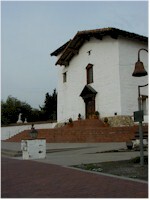 Mission San Jose is located on Mission Boulevard in Fremont, not far from Interstate 680. 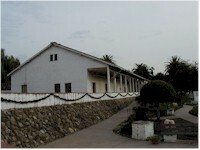 The Mission includes the chapel, a museum, a cemetery and grounds. The museum on a gray fall afternoon.